always BUYING Vintage Advertising Signs. OLD rare signs especially porcelain neon signs. 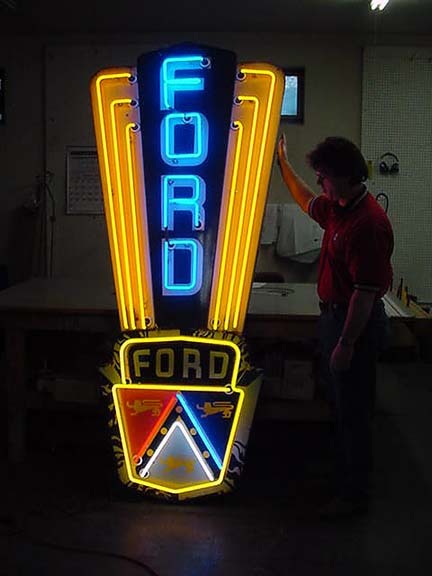 Check out some of these pages… Auto Gas Signs…The market for collectible porcelain signs has never been better. We will pay competitive prices & in many cases , we’ll pay cash for signs like these..My Vintage Sign Collection You may be surprised what your sign is worth, however keep in mind, condition is king. We are buying for our own collections and we buy for the high end customers we represent. You can get our opinion by sending photos to our email or by calling or texting us.